The star player of the defending champs has big plans for this season. The first season of the NBA 2K League concluded with one of the most exciting finals in esports. The hometown New York fans packed the 2K League Studio and turned an already-hyped affair into a totally raucous one. The tension was palpable as Heat Check Gaming clung to a six-point lead with just under two minutes left in the final game. Then the crowd exploded, leaping to its feet as the Knicks got huge defensive stops and surged ahead in a matter of seconds. It was a lead they would never relinquish as they won the first 2K League championship trophy for New York City. To Knicks first-round pick Dayvon “GOOFY757” Curry, the support from the Knicks crowd was essential to the team’s success. Now that he’s been crowned a champion, GOOFY can’t wait to get back for more. When the second season of the 2K League kicks off with THE TIPOFF on April 2, GOOFY will be back to defend his throne. GOOF has been playing NBA 2K his whole life. He’s had a controller in his hands practically since the day he could walk. His dad introduced him to the game and had the biggest influence on his decision to become the player he is today. GOOFY started playing on NBA 2K2, just the third installment in the series. Long-retired NBA star Allen Iverson was on the cover of that game, which played on the Sega Dreamcast system. It wasn’t even the preeminent basketball simulation game at the time—that honor belonged to NBA Live. A lot has changed since then, and one of them is GOOFY’s competitive drive. He put in 50 hours a week playing the game in preparation for the first season. But even then he didn’t imagine he’d be a team’s number first round selection in the draft. When Knicks Gaming selected GOOFY with the ninth overall selection of last season’s draft, he said he was in “shock.” GOOFY expected to go high, perhaps in the second round, but being entrusted with a first-round pick was a surprise. He loved New York though—except for the cold weather—and loved playing with his new teammates. 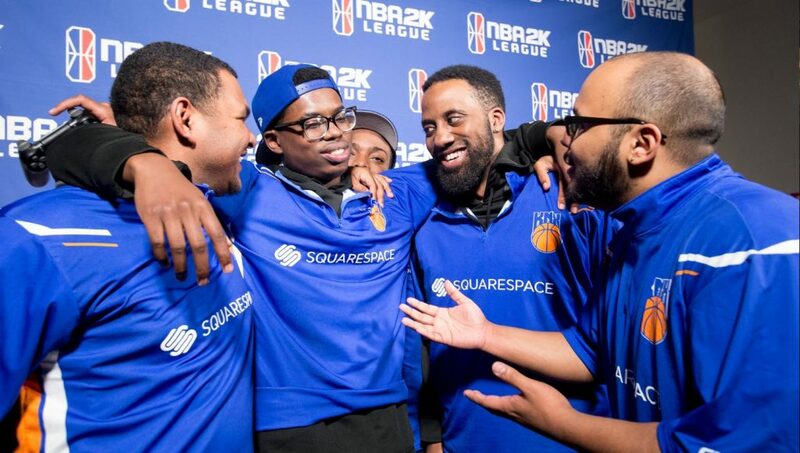 But despite the tremendous advantage of being the only team located in the same city as the league studio, Knicks Gaming struggled for most of the year. When the regular season wound down, Knicks Gaming found themselves in last place. They only had one shot at getting into the playoffs: Winning the third of three in-season tournaments, THE TICKET, to earn an automatic playoff berth. The team found its form at just the right moment, not only winning THE TICKET but also finally figuring out how to play with each other and within the meta. GOOFY admits that the team did get fortunate with the patches. In the middle of the season, the “pure rim” build gave him a lot of trouble while it made other big men shine. The team put in hours and hours practicing, trying to find something that worked. And finally, in a series against Pistons GT, everything clicked. As one team, we brought home a championship. Winning the title was the best feeling in the world. Choosing who to protect was among the hardest. We are thrilled to have @iamadamthe1st and @Goofy757__ returning to defend our title. We will always be one team, one dream, one goal. Even after winning THE TICKET, Knicks Gaming knew they had an uphill shot as the last playoff seed. Their first round opponent, Blazer5, boasted the league MVP, big man Dayne “OneWildWalnut” Downey who had dominated all comers, GOOFY included. But that didn’t scare the Knicks big one bit. 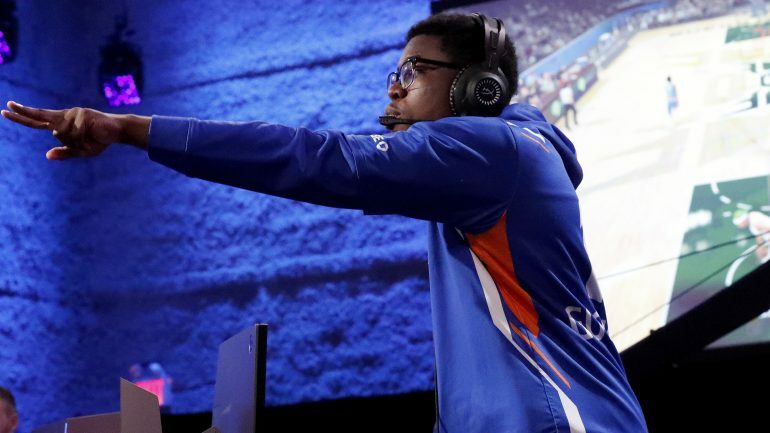 Knicks Gaming beat Blazer5 with the formula they discovered in THE TICKET: GOOFY controlling the paint and the boards and Adamthe1st, whom the team calls “Kuda” after his nickname from his streaming days, hitting big shots. That carried them all the way through to the final. Even when Heat Check Gaming went off and Kuda was struggling, GOOFY wasn’t worried. He waited all his life to win a championship. The team told Kuda to keep shooting, they got big contributions from other players on the roster, and with the crowd fueling them on, surged to the victory. Heading into the 2019 season, the Knicks chose to keep GOOFY and Adamthe1st. Expect to see much of the same two-man synergy they ended the year with. GOOFY is not shy about his expectations for this year: After tasting victory, he wants nothing less. We’ll see if he can do it when the second season of the NBA 2K League kicks off on April 2 at 4pm CT.